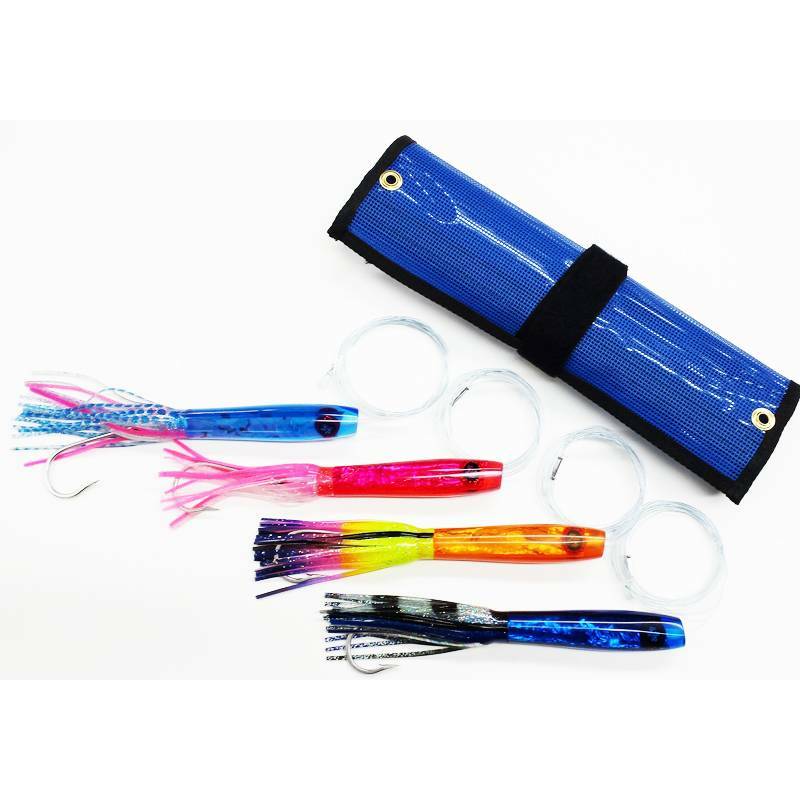 Rigged set of four comes with custom 4-pocket Lure Bag for storage. It was only a matter of time until we applied the signature wobble and distinct swimming action of the Original Mate Saver to bigger gamefish. The Mate Saver Sr. comes rigged with a single Mustad 7691S 9/0 Stainless hook and 8ft of 250lb test Momoi. The Mate Saver Sr. has the same incredible action as the smaller Original Mate Saver but can now handle the larger targets such as Tuna, Wahoo, White Marlin, and Blue Marlin. 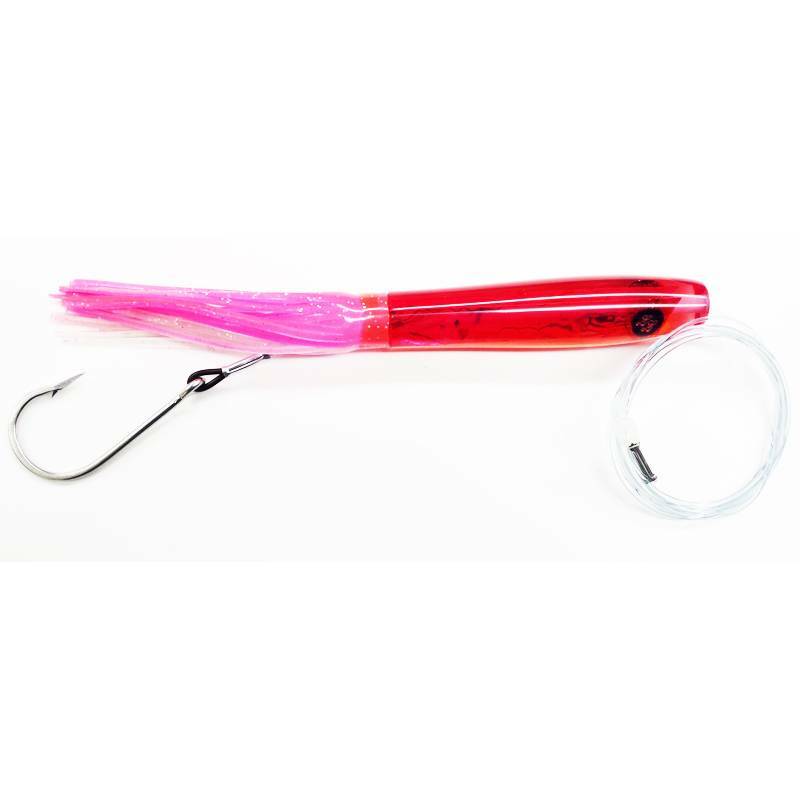 The Sr. measures 11” and 4oz rigged while the smaller Mate Saver is 7 ½” and 1 ½oz rigged. The diameter is double that of the smaller lure.